﻿ KCR Will Be CM Again! Who Said It? At the Meet-The-Press, AIMIM Chief exuded confidence that K Chandrasekhar Rao will retain power by attaining magic figure. He, however, maintained MIM won't be a part of the Government. 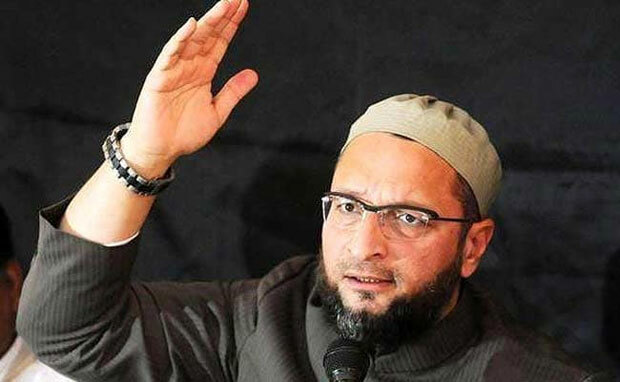 Owaisi declared AIMIM is going to win 8 MLA Seats in this elections. He told Majlis supporters will vote for TRS in rest of the constituencies. 'Surveys have been misleading the people. There is need for regional parties in the country,' he stressed. Hyderabad MP described the People's Alliance as East-India Company 2018. Predicting the defeat of Mahakutami, He questioned how could AP CM have control over Telangana People. Asaduddin accused Congress Party of using secularism for votes. He alleged Rahul Gandhi has instructed his party MPs not to participate in the debate over Triple Talaq in Parliament. The Parliamentarian claimed he doesn't have a security guard since 25 years. He slammed Modi for campaigning in the constituency of Raja Singh who threatened to get rid of him. No CM Candidate! Why Rahul?